Amazon has got this Burt's Bees Mani Pedi Set for $7.44, the lowest recorded Amazon price on this popular set. It got 4.4 out of 5 stsrs over 12 customer reviews and is an "Amazon's Choice" item. Limit 3 per account. 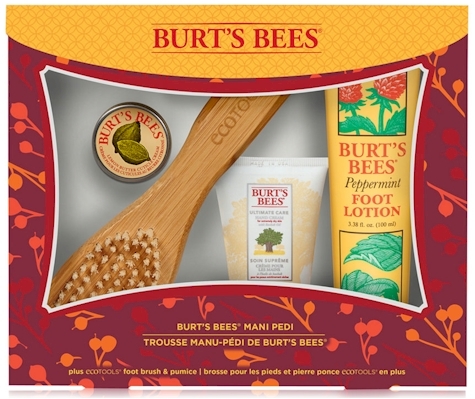 BURTS BEES GIFT SET: This gift set includes 3 Burt's Bees skin care products plus a foot brush and pumice that come in a deluxe giftable box perfect for stocking stuffers during the holidays or for the beauty enthusiast.